HDFC Debit cards work well on International websites. You just need to enable International usage for your HDFC Debit card to use on International websites and Paypal. Please note, only VISA and MasterCard Debit cards work on International websites, Rupay Debit cards only work in domestic level. So if you have Rupay Debit card then kindly upgrade your card. 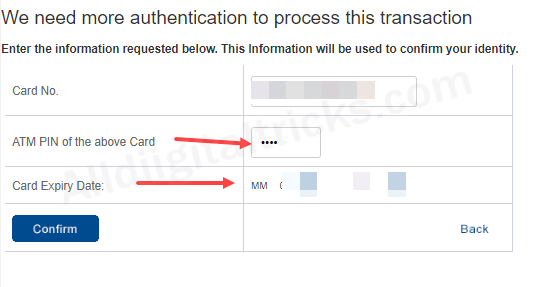 So here is step by step guide – hot to enable International usage for HDFC Debit card to use the card on International websites and PayPal. You need to login HDFC Net banking first. 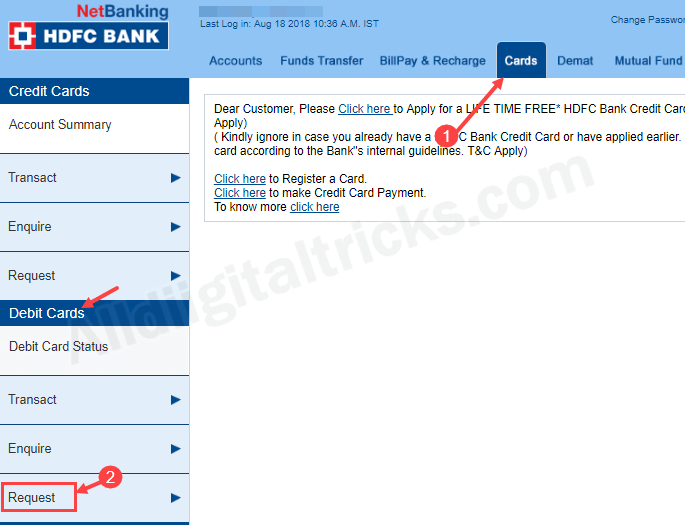 If net banking is not active for your account then activate HDFC net banking online. Enter User ID and login password and login to your account. 2- After login, click and open “Cards” option. Now make sure Debit card selected in Cards option, not the credit card. Now click on Request. 3- In Request, click on Set International / Domestic Usage. 4- And now select your Debit card and continue. 6- You can see the current limits for International usage. You can edit this limit anytime. Click on continue. 7- And finally, confirm your request by entering your card ATM PIN and expiry date. Done! your HDFC Debit card now ready to use on International websites. You can use your card ay any website as well as link it with Paypal. For card security, I suggest set International usage limit for your card, you can set limit by clicking on Request – Modify International limit. I hope you now understand how to activate HDFC Debit card for International usage to use the card on International websites and PayPal. How can block hdfc credit card online permanently?